Imagine it's the day of your baby's birth. You are expecting to greet the beautiful, perfect baby you were picturing for months. Imagine that your baby is born and you are filled with the joy only a new parent can understand. Imagine how your joy comes to a crashing halt as they take your baby away, and you know, you just know, that something is wrong. That day became a reality for us. Imagine that a doctor comes into the room, sits down, and tells you that some of the staff believes your child has chromosomal abnormalities. 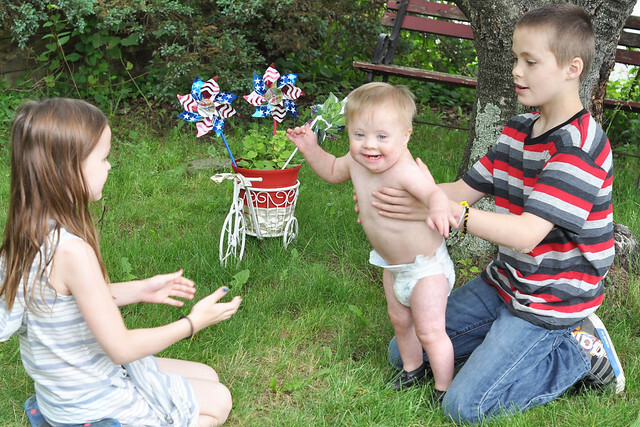 You are speechless, so your spouse asks, "Do you mean Down Syndrome?" The doctor nods his head, then launches into a speech about everything that could be wrong with your child. Your heart plummets, and you barely listen. The only feeling that remains is negativity, and despite your desperate need for answers, not a single medical professional on the postpartum floor will address your questions or offer support. Sadly, that is the case for many parents who are given a diagnosis such as this one. They are left on their own, with only an internet search engine to answer their questions. And that's the absolute worst place to ask those questions. 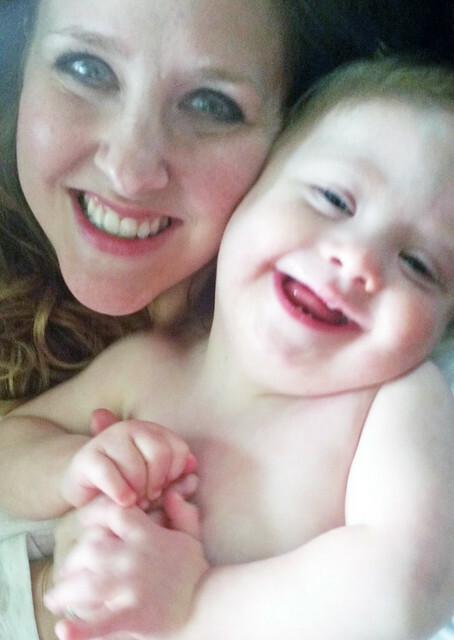 Huggies is hosting an amazing #UltraHug selfie contest. The winner of the contest will receive a $2000 grant from Huggies for the community project of their choice! From April 20th until June 25th, Huggies will be accepting all selfies with the hashtag #UltraHug, and featuring them in a collage on the campaign landing page. On July 6th, voting will begin to narrow down the 20 finalists to 10 winners who will win a $2,000 grant from Huggies for their nominated community initiative. I nominate the Down Syndrome Diagnosis Network. Not every Down Syndrome diagnosis experience has to be as shocking and as lonely as ours was. The Down Syndrome Diagnosis Network is there to help! They "provide resources and education, connect you to other parents who have been in your shoes, and provide health professionals the necessary resources in order to deliver future diagnoses with unbiased information and support." I'm currently a member of a DSDN Facebook support group, and it's so wonderful! I wish they were there for me at the very beginning. Because guess what? Down Syndrome is not the monster it's often made out to be!!! First, take a selfie of you and your baby and upload that selfie to Twitter or Instagram. Make sure to use the hashtag #UltraHug. In your same post, make sure to include a text nomination (approximately 100 – 120 characters) including a name and/or identifying description of a community project in the US, which you would like to nominate. Make sure the community project is something near and dear to your heart. Go ahead and enter! Who will you nominate? Just in case you're wondering about these new Huggies Snug & Dry Ultra Diapers, I'll fill you in! -The Huggies Snug & Dry Ultra Diapers can only be found at Walmart. That works for me, because our local Walmart is less than 10 minutes away, and I'm there once a week! -They offer up to 12 hour protection. We've put this to the test. Liam sleeps 12-15 hours every night, and he doesn't leak out of these diapers! I credit the snug fit around the waist and legs! -Huggies unique Leak Lock® protection locks away wetness better. Once again, I agree. We haven't had a leaky diaper yet! I've been a big fan of Huggies through my entire decade of parenting, so it made sense to use them again with our 4th baby! Huggies was there during those first few rocky days with our surprise baby, and Huggies is now there for those first incredible steps. We've come a long way since that dreaded news was delivered in such a negative way. Liam exceeds our expectations and brings joy to our lives every single day! If that's not an #UltraHug, I'm not sure what it is! As a mom, I have so much to worry about. I'm glad leaky diapers aren't one of my worries! 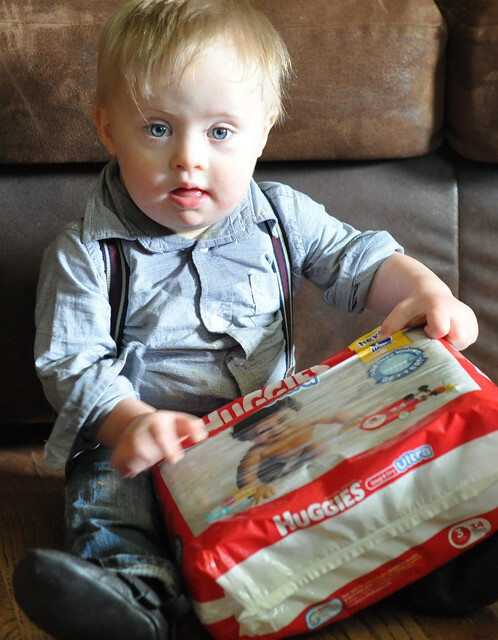 Thank you, Huggies! 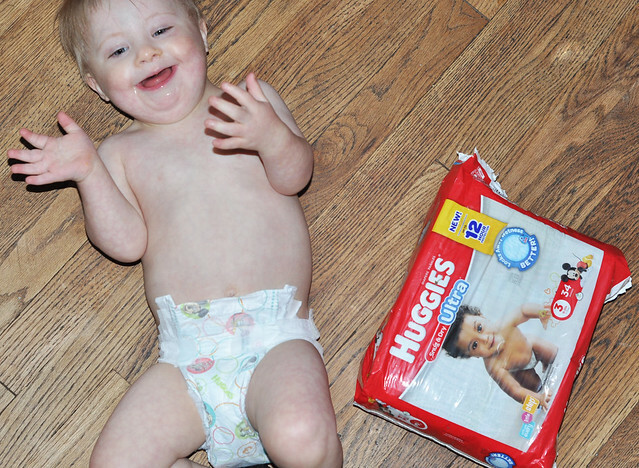 Find out more about Huggies Snug & Dry Ultra Diapers and the #UltraHug selfie contest right HERE. A great product and a wonderful contest that will benefit many! Liam (and I) think you should enter!!! Oh my Dylan and Liam!!!! That hug made my morning! Thank you! They have quite a bond! Love love love. Awesome post! :) Great pictures and such a great cause! Love Huggies! And more importantly, I love all these pictures! Your kids are all beautiful. Thank you so much, Cindie! Huggies was always my preferred diaper when I wasn't using cloth! I've seen so many #ultrahugs posts Im racking my brain to come up with a cause to nominate! Love Huggies and your children are all so beautiful. Thank you! I'm sure you'll come up with a great one!!! Can Liam come teach Luke how to sleep? And that picture of Liam and Dylan, beyond precious. Haha! I'll send him over! What sweet photos!! I love seeing kids in action, especially bigger ones with their smaller siblings! Thank you! They love each other so much! What a beautiful campaign! I wish I could participate, but I don't have any kiddos (yet!). I'll be sharing this with my mom friends, though! Thank you, Brittany! I love how it's for a great cause! 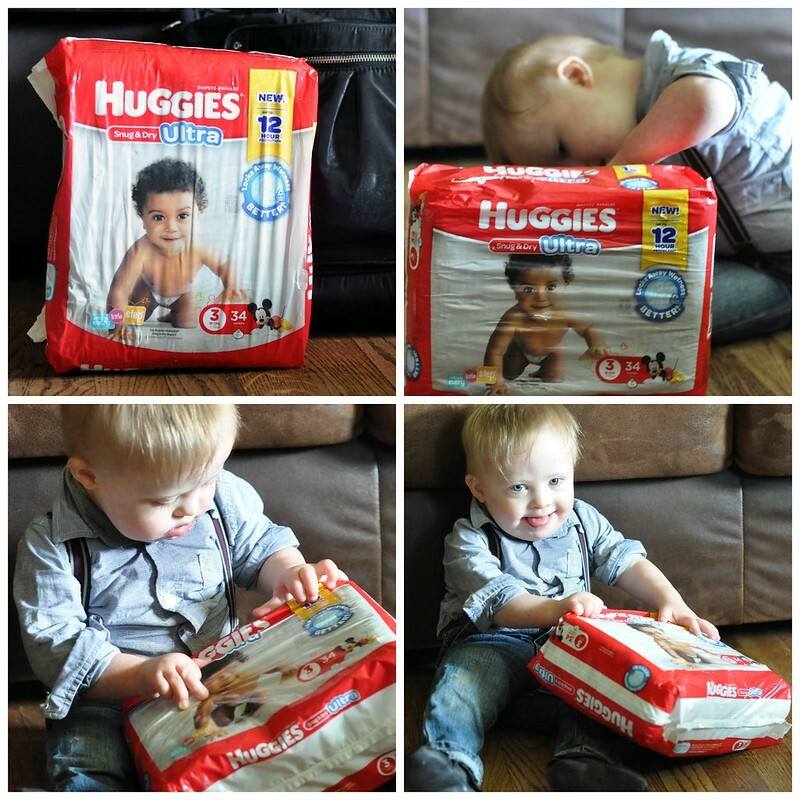 I think this campaign Huggies is doing is amazing and your cause is probably my favorite of all I've seen! My husband is a special education teacher so I have a special place in my heart for families like yours! Love it! This post is so heartfelt, I hope your chosen organization is one of the final 20! You are such a beautiful person in every way! Walking this journey beside you, learning more and more is such a blessing! I want your cause to win! :) Love you. Oh my heart!!! Cutest selfie ever!!! Please let our group know (so it reminds me haha) when voting starts!! ❤️ Liam just radiates joy and love!! I see it on every picture. Your family is absolutely precious!!! I just love the pictures of the big kids with their little brother! What a beautiful family! SWEET PEAS!! I love the sibling love--so evident in your photos :) :) This is such a lovely campaign, too! Thank you! It's a great campaign!